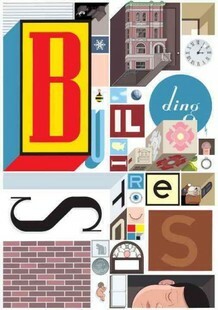 A flurry of positive buzz at the end of 2012 made Building Stories by Chris Ware one of the most talked about books of the year (at least, on the geeky book review blogs we librarians read). Certainly the most ambitious and successful graphic novel I’ve ever read, Building Stories is very much a novel: a story told in a visual medium that takes several hours of cooperation between your brain and your eyes to interpret. 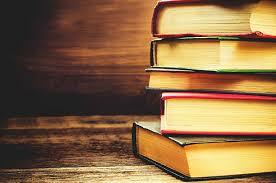 There are words – lots of them – in addition to the illustrations, and one could not survive without the other. There are two main characters: an unnamed woman living in Chicago and the three-story building she lives in. Each of the particles of this novel (it’s printed on a collection of 14 different paper products, ranging from hardcover book to cardboard broadsheet to flimsy pamphlet) zooms in on a short period in her life or the lives of the other people in the building, which provides a delicate but firm link between all the characters. There’s no defined order (which is intentional), so you sift through the vignettes of her life in much the same way you sift through your own memories: not sequentially, or always with a logical connection from point A to B, but arbitrarily and unpredictably. At any moment in your reading, you can see the woman in various states of dissatisfaction, from the crushing loneliness of single life to the dispirited letdown of motherhood in the suburbs. It’s not a happy book, but there are moments of levity – you’ll be charmed by the short interlude of Branford, the Best Bee in the World, whose brief bee life is indeed connected with the human characters. Watch out for the scene where the woman finds a copy of Building Stories itself: a moment of humorous, metafictional, mildly unsettling genius that (like the book entire) asks some very real questions about the physical and emotional nature of books.